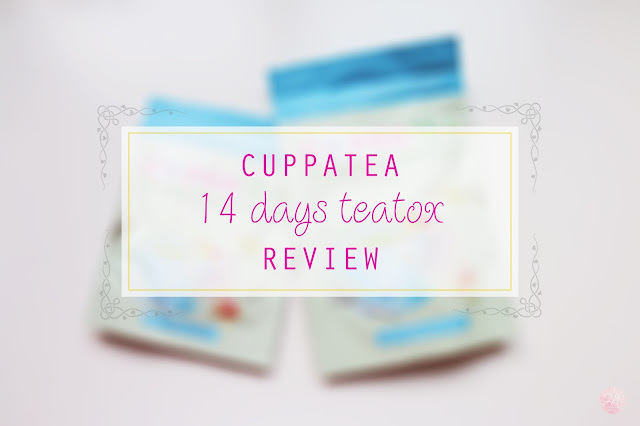 Today’s post will be about my experience with Cuppatea 14 days Teatox Program. But before I get into that I want to share a little bit of background on what I know about detox. I have to be honest, I am very skeptical about these kinds of detox and slimming programs. I don’t want to just let anything inside my body, there could be harmful chemicals that can have long term side effects. Especially the detox and slimming programs that vouches "instant" visible results. Though our bodies are adaptive to change, it won’t be able to adapt that instantly naturally. After researching about the concept of detox, I found out that there are many kinds of detox you can do naturally at home for example detox for your digestive system, liver etc. But the one key fact that stood out during my research is that detox will normally take around 1-2 weeks. That means, anything that claims the product to “instantly” detox your body in a day is completely false. What happens is that it just helps your bowel movement without actually cleanse your body from toxins. So that’s why I was hesitant to try any detox or slimming program. But I do know that I have some issues with indigestion and bloating and to have that extra benefit of detox would be awesome. I don’t want to rely on medication so I started reseaching about detox tea. I came across Cuppatea from a blogger friend and started to research about it a little deeper. After reading about the ingredients and the benefits of Cuppatea Teatox I decided to give it a try. I followed the instructions carefully and precisely, which is actually not that complicated. It was just my skepticism. Cuppatea has two types of detox program; the 14 days and 28 days Teatox. It is recommended to go for the 28 days program but if you are just started or wanted to give it a try without a big commitment, you can try the 14 days program instead. Both of the programs have the same day and night time teas, the only difference is the amount you will get. 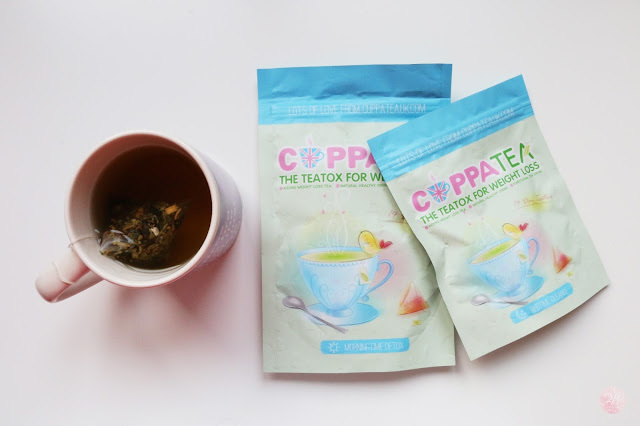 You get 2 weeks worth of teabags for the 14 Day Teatox program and 4 weeks worth of teabags for the 28 Day Teatox program. 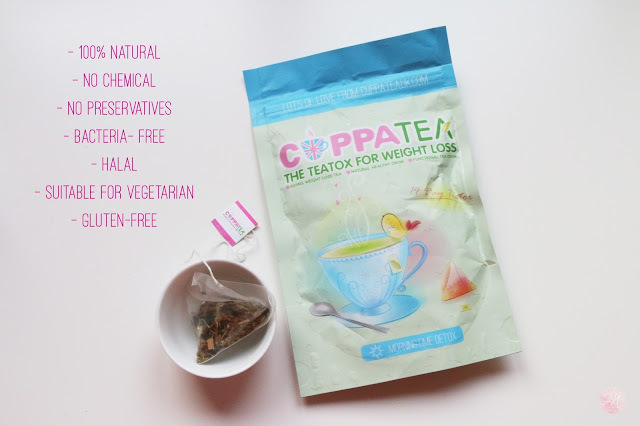 What’s great about Cuppatea is that all the ingredients are 100% natural, there are no chemical or preservatives and they are bacteria- free. It is also Halal and is suitable for vegetarian and it is Gluten-free. 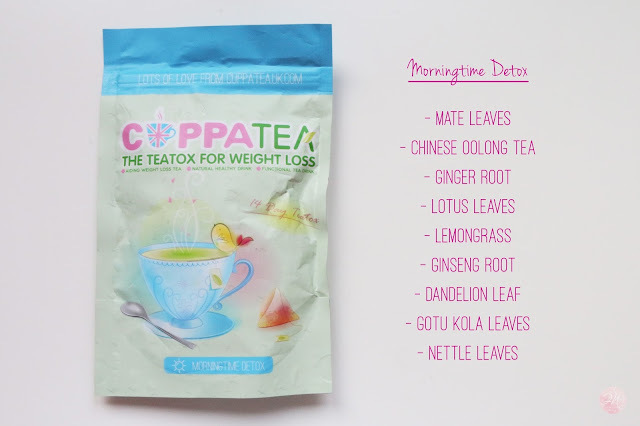 The 14 days Morningtime Detox has 14 tea bags. It is recommended to take first thing in the morning everyday, but you can also take it whenever you have the chance throughout the day. All you have to do is put the tea bag in your empty cup and pour near boiling water over the tea bag. Let it infuse for 3 minutes before drinking. My first impression is that it has a nice relaxing aroma. It tastes a little bitter at first but after awhile I’ve gotten used to it. It is recommended to drink it as it is but if you found it to be too bitter you can add honey, try not to add sugar, use honey instead. The first time I tried it I kept on burping through out the day, which is a very nice feeling because I do have a “wind” (angin) problem. After a couple of days of drinking, I found that I am more energized in the morning (probably due to the caffine) and I don’t get as tired as I do through out the day. And because it helped me with my wind problem I found that it reduces my bloating problem as well. I’m prone to gastric but I have no problem drinking this in the morning with an empty stomach. Mate leaves, Chinese oolong tea, Ginger root, Lotus leaves, Lemongrass, Ginseng root, Dandelion leaf, Gotu kola leaves, Nettle leaves. Note: The Morningtime detox does not produce a laxative effect but contains a small amount of caffeine. The 14 days Bedtime Cleanse has 7 tea bags. This is because you will drink it every other night just before you go to bed, starting from the first day you started the teatox program. In other words, consume the Bedtime Cleanse on alternate nights. For example, if you start your teatox on a Friday, the next time for you to drink the Bedtime Cleanse again will be on a Sunday, Tuesday, Thursday, Saturday and so on. The preparation is the same as the Morningtime Detox. My first thought was that I will have diarrhea because I was so scared it will be too strong for me (due to my very sensitive stomach). So I took their suggestion to start my detox on a weekend where I am not working and will be home, where toilets are easily accessible haha. And my first impression is that, it is not as how I imagined it to be. Thank God. The next day after taking the Bedtime Cleanse, I did have to go to the toilet but it was very pleasant haha. It just went on very smoothly and it happened a few times throughout the day but it wasn’t painful. After a week, it became very regular and I feel very happy about it, because there were no difficulties what so ever. (can’t believe I’m taking about my bowel movement openly haha) As for the taste, it has this herb like taste which is stronger than the Morningtime Detox. But after awhile, I’ve gotten used to it too. Here’s a tip, the longer you leave the tea bag in, the stronger the taste and effect. It’s not something you can take your time to sip, unless you remove the tea bag after 3 minutes. Senna leaves, Burdock root, Liquorice root, Hawthorn leaves, Fenugreek seeds, Peppermint leaves, Chamomile, Psyllium seeds. Note: The Bedtime Cleanse produces a laxative effect to naturally cleanse and detoxify your body, approximately 8 hours after usage. Overall, I really love Cuppatea. The packaging is so cute, and I really like the fact that they have a seal that will keep the tea very fresh and it’s very easy to use. 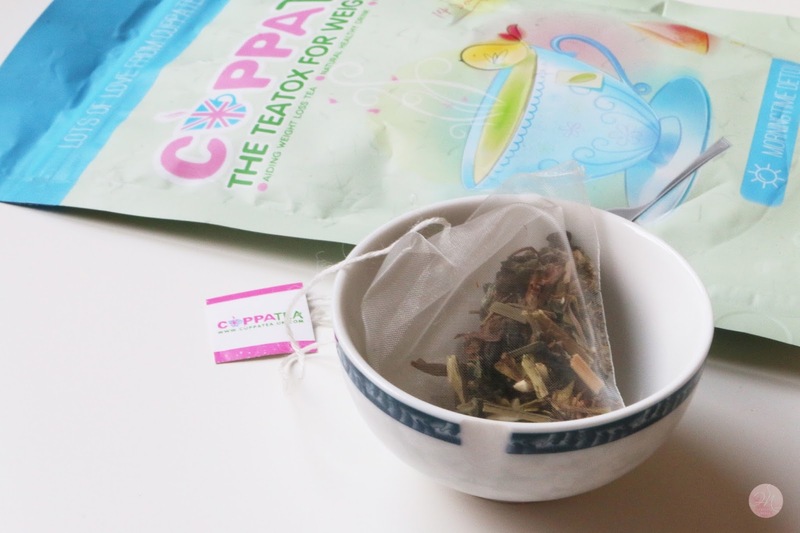 The ingredients in Cuppatea works very well for me and I look forward to keep using it. Though they claim that their teatox tea aids to weight loss they also stress on the importants of balance diet and regular excersice. They even have a guided meal plan on their website to give you an idea what a balance diet looks like. 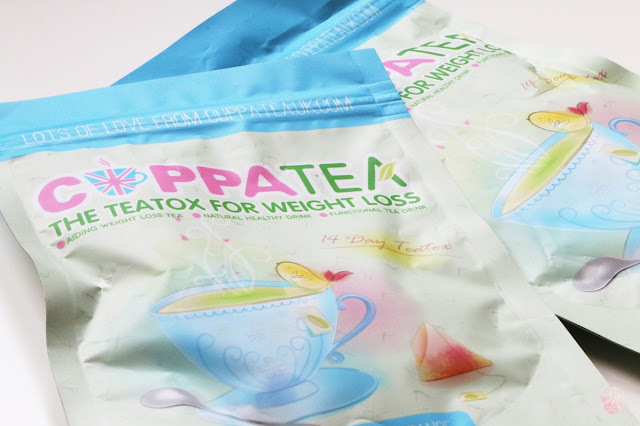 So even though the packaging said that it is a teatox for weight loss, don’t completely depend on it for losing weight. Through out the program, I admit I didn’t really eat healthy meals regularly or exercise as much as I should, but I am slowy changing my lifestyle. And I want to do it with Cuppatea by my side. 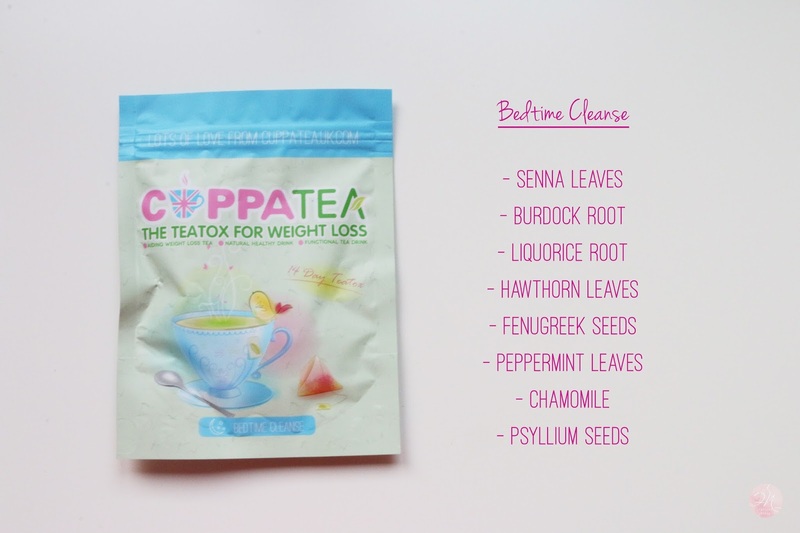 The Cuppatea Teatox has been such an amazing addition to my lifestyle that I was sad knowing I was running out towards the end of my 14 days Teatox program. That’s why I have bought another set to keep on using it in my daily life. You can keep using the Teatox program for 2 months or 8 weeks. 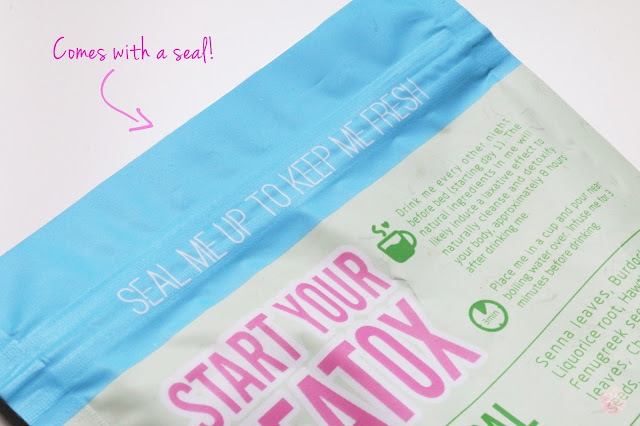 After 2 months, it is recommended to take a break from Teatox for 2 weeks before resuming the program for another 2 months. This is one of the reasons why I love Cuppatea, the website is very informational and it really shows that they take their customer’s health seriously. 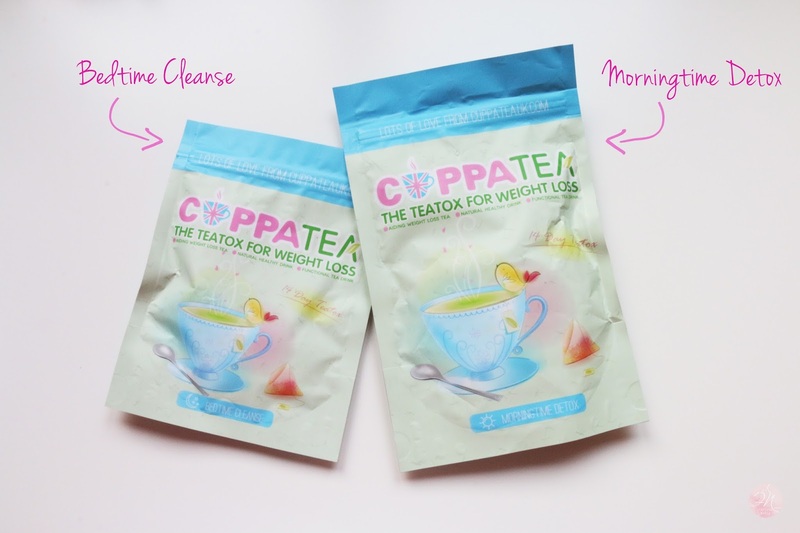 Go and head on to their website to learn more about Cuppatea Teatox. All the links will be down below. And if you decided to purchase, you can use the coupon code farishanadia15off to get 15% off your purchase. Thanks for stopping by to read my review. 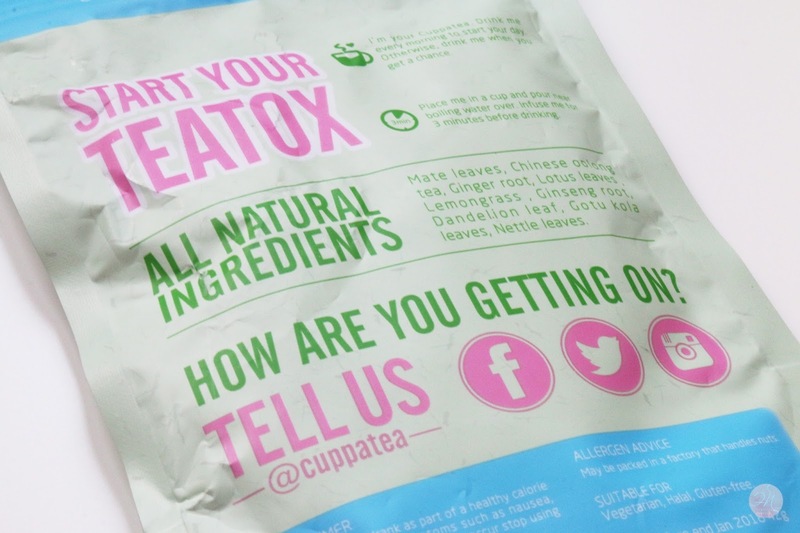 Have you tried any detox program? If you had let me know your experience down on the comment section. Till next time!